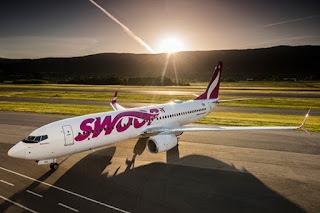 Swooping in to make a big impact on the Canada - Mexico travel market is the low-cost airline from WestJet called Swoop, as they announce the addition of four new routes. 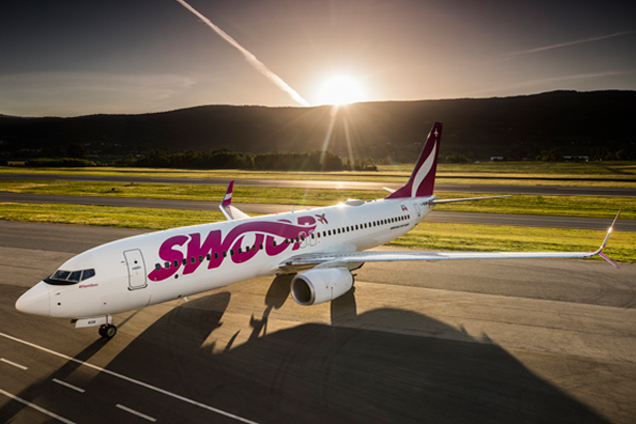 Swoop will be serving the cities of Cancún, Mazatlán and Puerto Vallarta in Mexico with the new services the airline has confirmed this week. John C. Munro Hamilton International Airport (YHM) will see twice weekly service to Puerto Vallarta International Airport (PVR) and three times weekly service to Cancún International Airport (CUN) beginning January 8, 2019 and January 14, 2019, respectively. Similarly, Abbotsford International Airport (YXX) will enjoy twice weekly service to Puerto Vallarta (PVR) and twice-weekly service to Mazatlán International Airport (MZT) beginning January 12, 2019, and January 20, 2019, respectively. "Mexico continues to flourish as one of the most popular vacation destinations for Canadians," said Steven Greenway, President of Swoop. "Combining Swoop's ultra-low fare with the favourable exchange between the dollar and peso makes the value proposition of exploring Mexico enticing for families and budget travellers alike." "This announcement by Swoop is one that will excite customers in Hamilton and the surrounding regions," said Cathie Puckering, President & CEO, John C. Munro Hamilton International Airport. "Puerto Vallarta is a brand-new route for Hamilton International and a very popular destination for Canadians. Combined with the announcement of Swoop service to Cancún, these will be great options for vacationers looking to escape the cold winter weather when services begin in January. Swoop is a great partner and its growth and success has been exciting to watch first hand." "Today's announcement by Swoop to offer multiple weekly flights from YXX to Puerto Vallarta and Mazatlán is excellent news for travellers in our region," said Mayor Braun. "The Abbotsford International Airport continues to grow and our partnership with Swoop is a significant contributor to that success. YXX now serves our region with daily flights to Alberta, Manitoba, Ontario, as well as multiple weekly flights to Nevada and now Mexico." 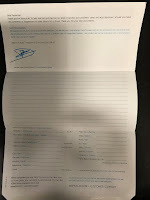 "ASUR is delighted to welcome Swoop in Cancún International Airport. We are certain that the Abbotsford and Hamilton routes will be very successful. We are looking forward to having Swoop in our airport for the long run, and with operations from those origins and many more in the near future. Thank you and congratulations! ".